In case you care about this sort of thing, no rx here’s a good look at what happened by Laura Hudson aka L-Hud. 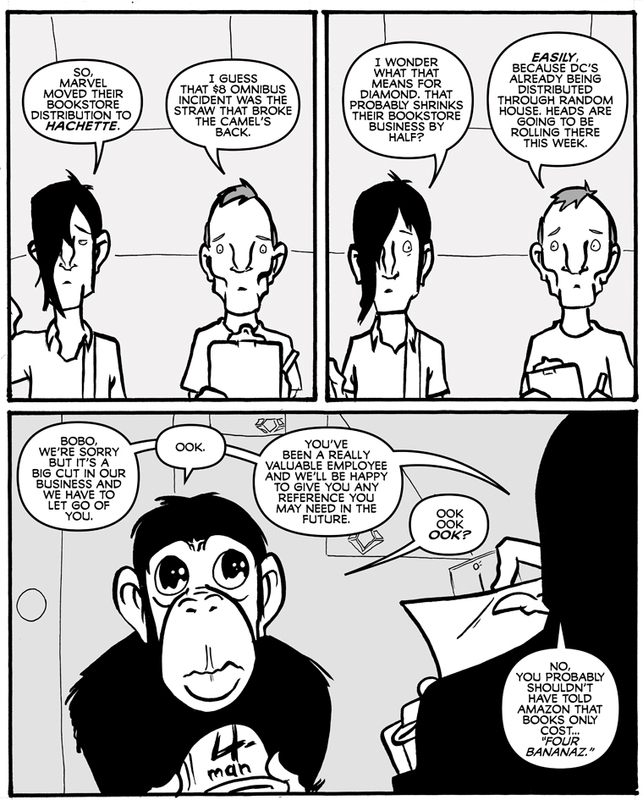 This strip is an insult to hard-working monkeys everywhere. I sort of think Diamond’s methods are more destructive than merely dumb. I’m pretty sure the actual employee is some kind of always-on-fire monkey.